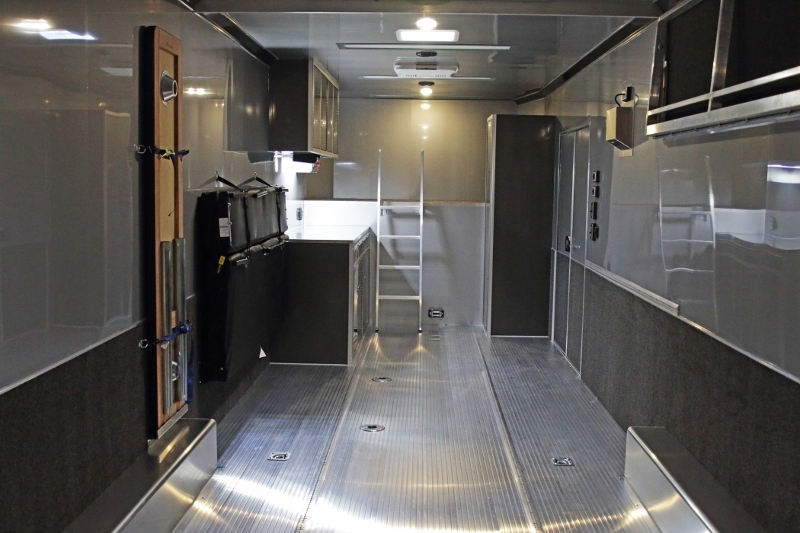 When you're looking for the perfect, well-equipped, Gooseneck Trailer, look no further than the awesome team of custom trailer designers at RPM Trailer Sales. 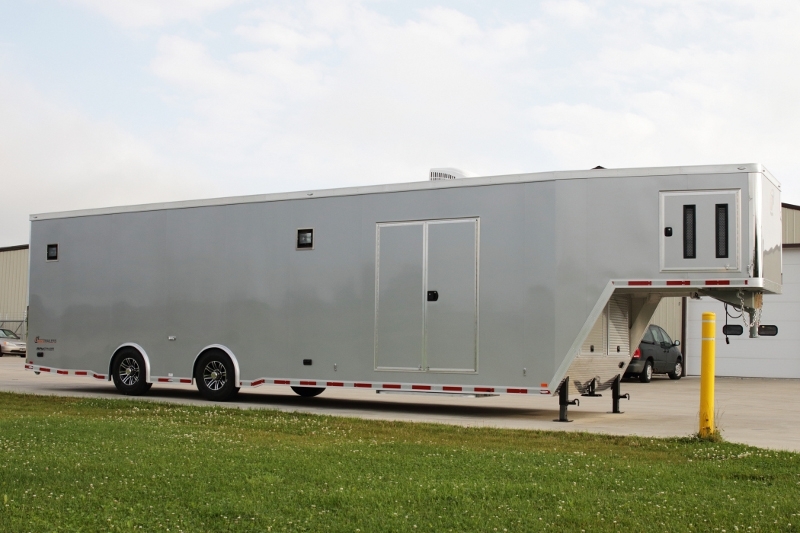 We've taken our most popular options and included them into a bundle of custom options, chosen specifically by the customer, for one amazing Race Car Hauler. 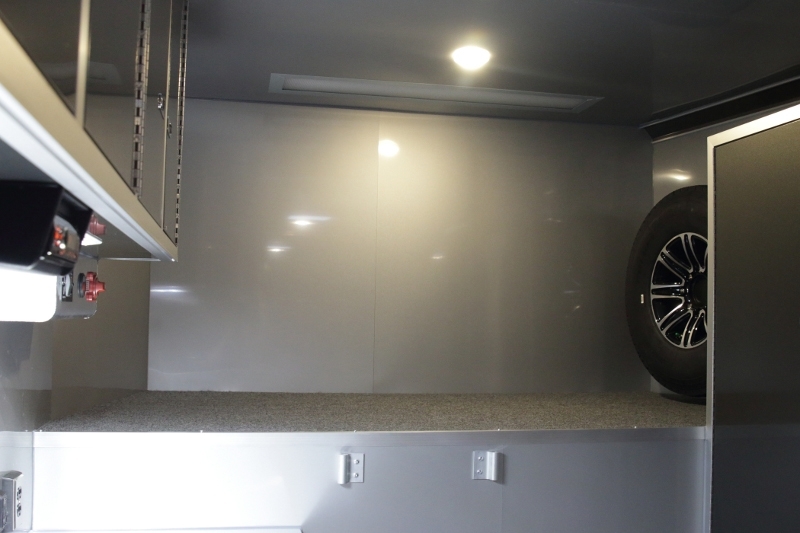 This trailer features a 97.5 Rear Ramp Door Opening, Onan generator package, 34” high carpet on the walls, fold up wall mount tire racks, heavy duty walk on roof & more! 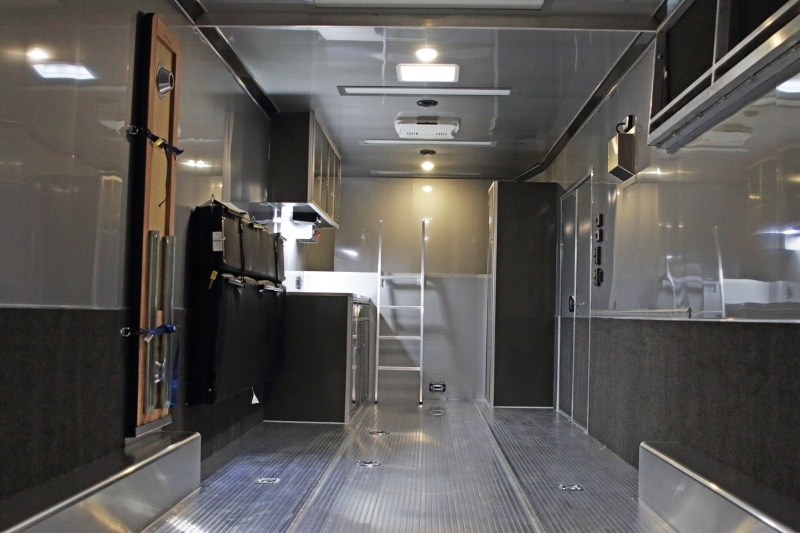 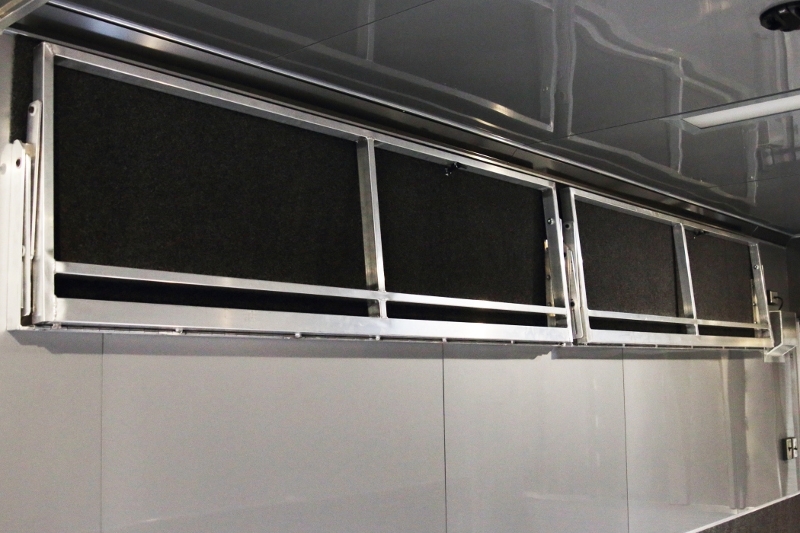 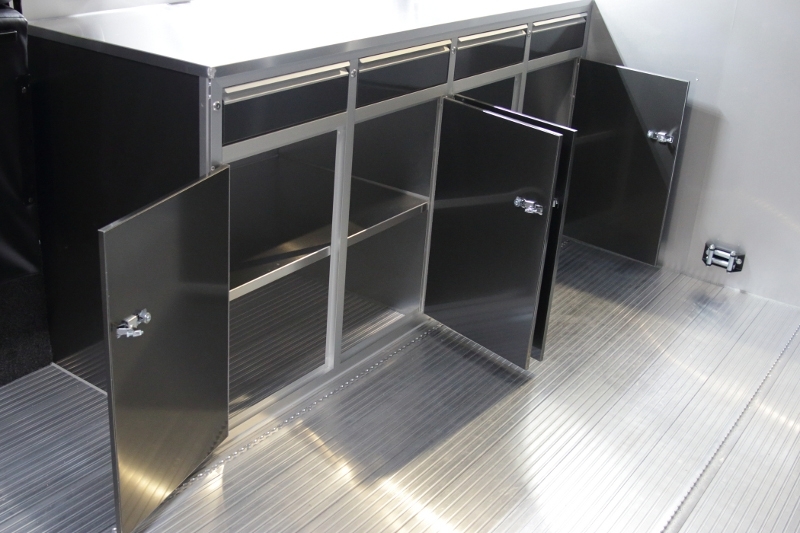 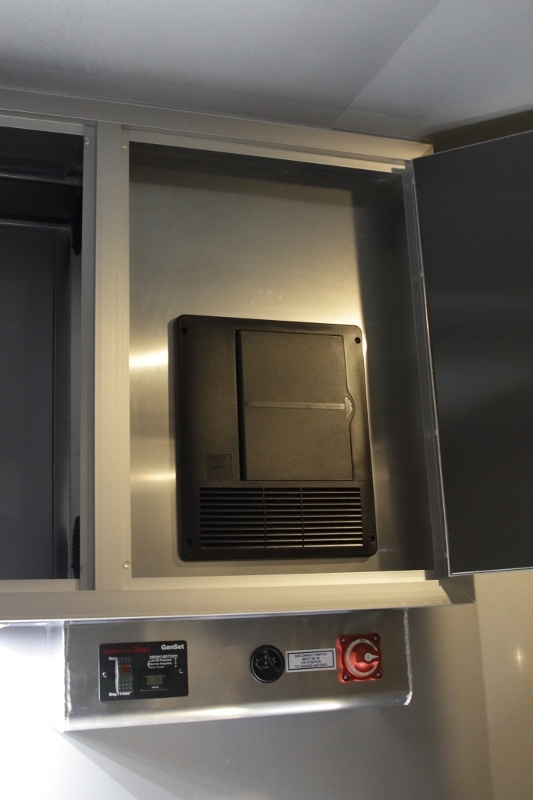 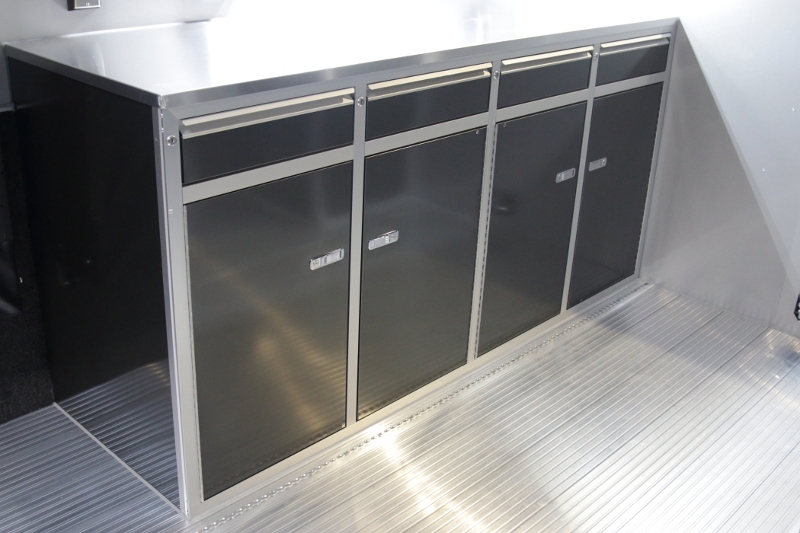 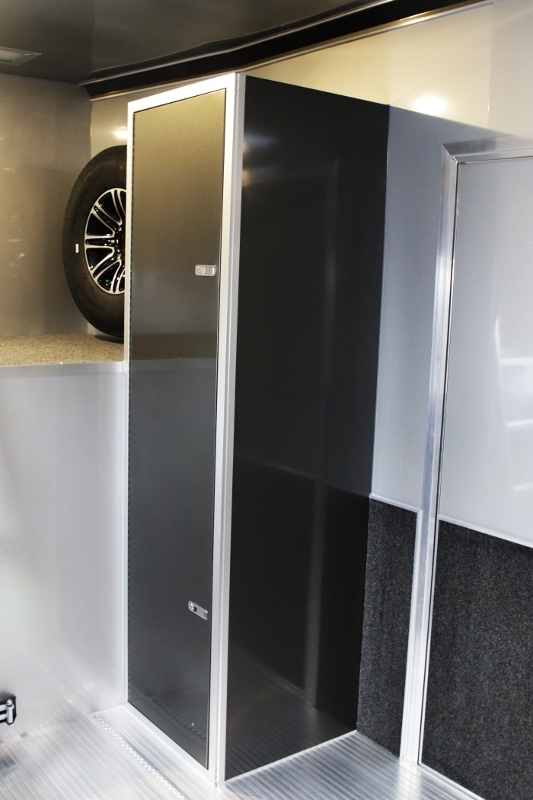 Performance, Dependability and Quality Construction are key elements of every trailer we design. 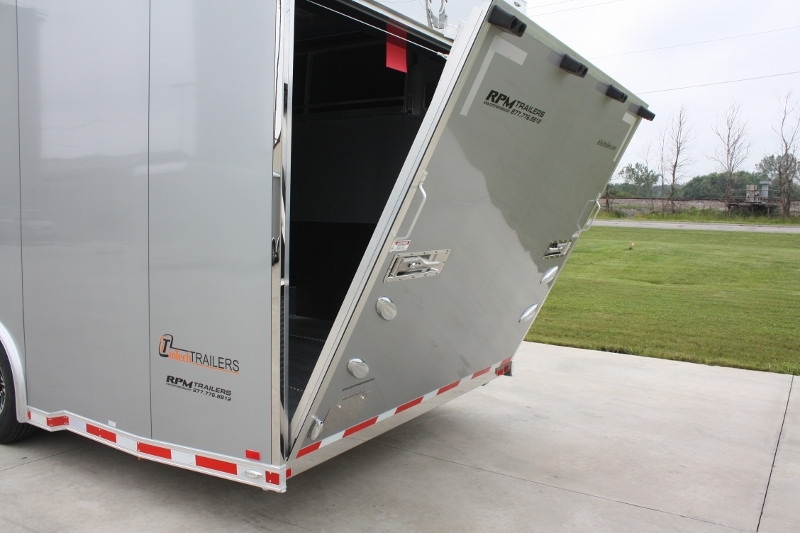 RPM Trailer Sales meets each owner’s unique requirements. 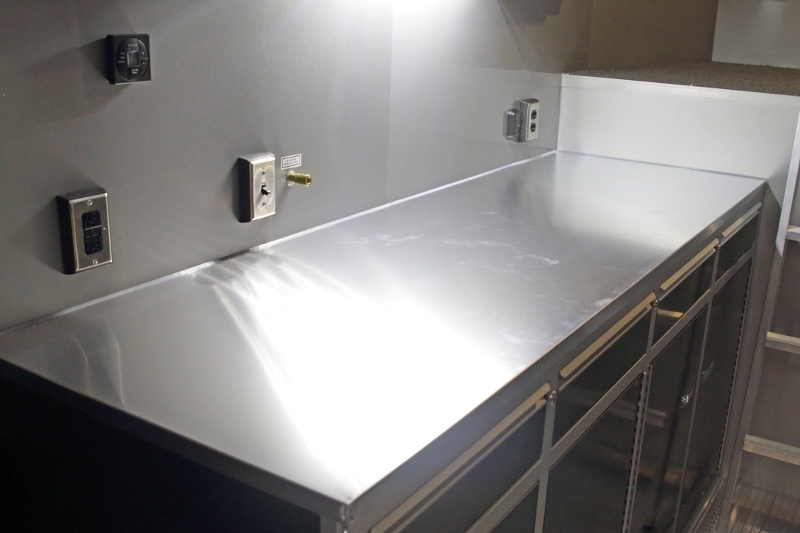 Plus, we've got years of experience in designing work areas to match your work routine perfectly. 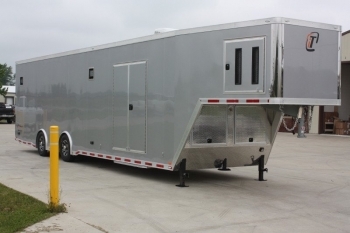 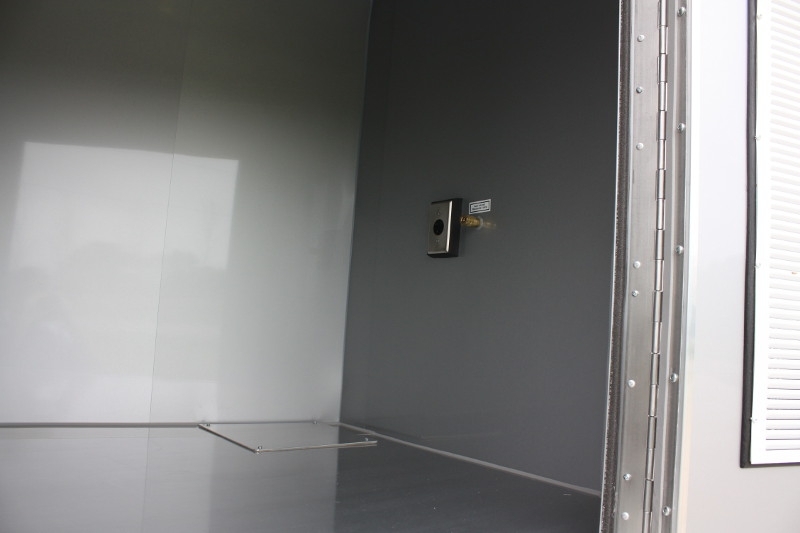 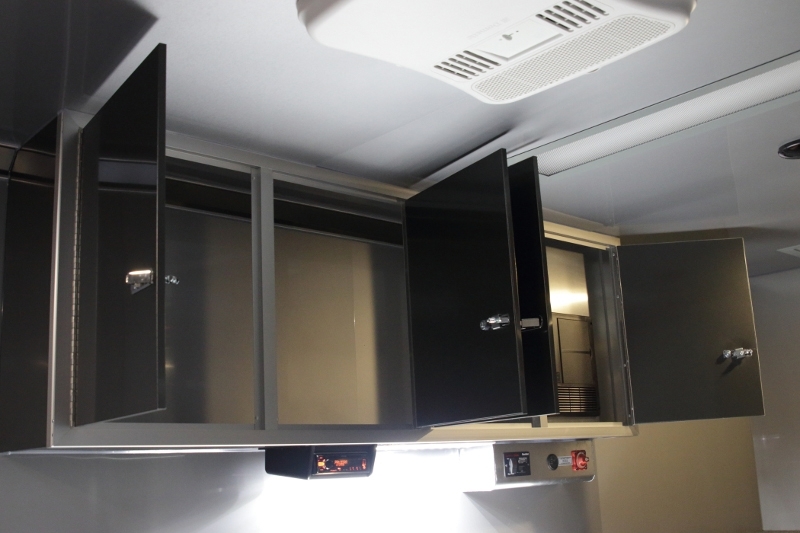 Whether it’s a basic single car Gooseneck trailer or one of our custom Stacker Trailers with living quarters, we design each of our trailers paying close attention to strict quality control requirements. 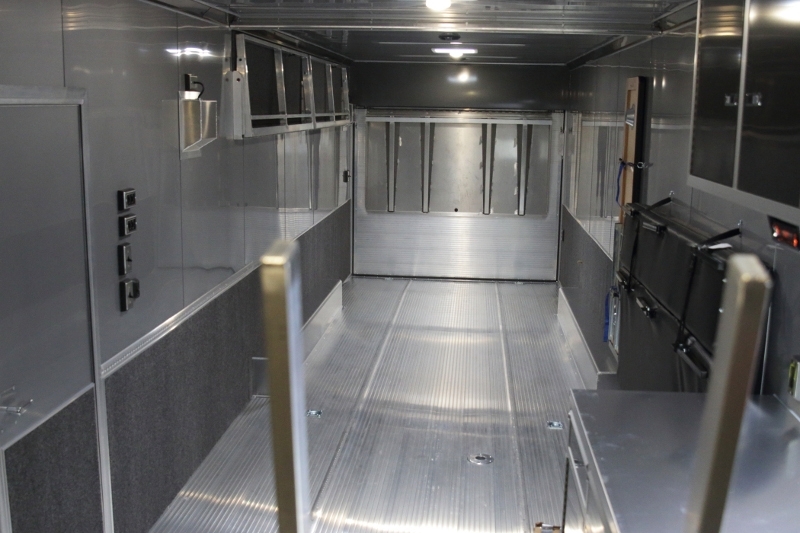 As a result, all of our trailers pull like a dream and are built to last a lifetime. 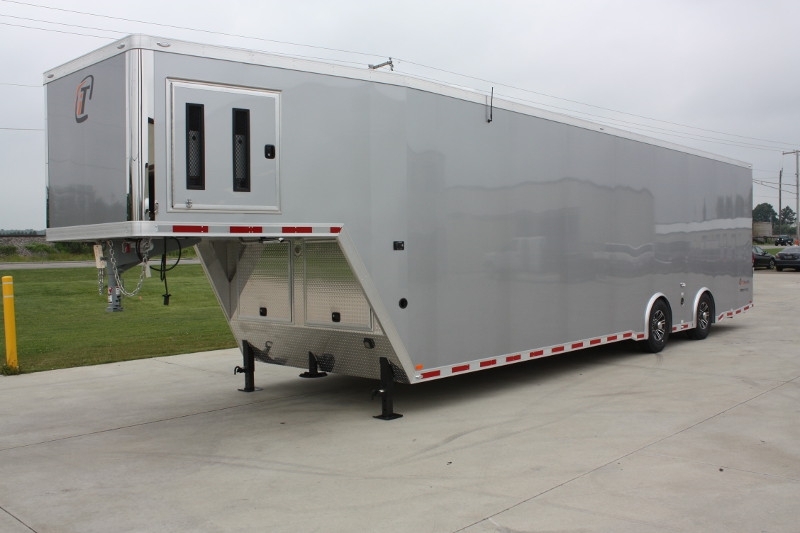 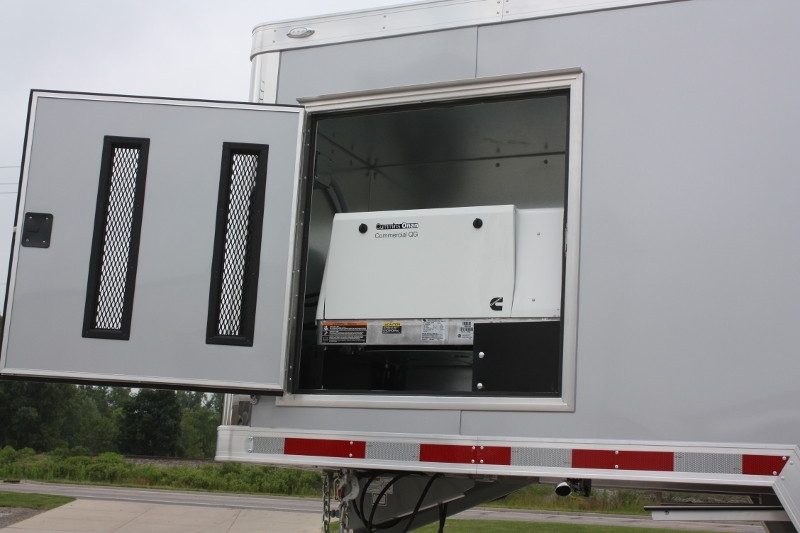 Why not give us a call today at 706-654-2882 for a quote on a trailer to fit YOUR operation? 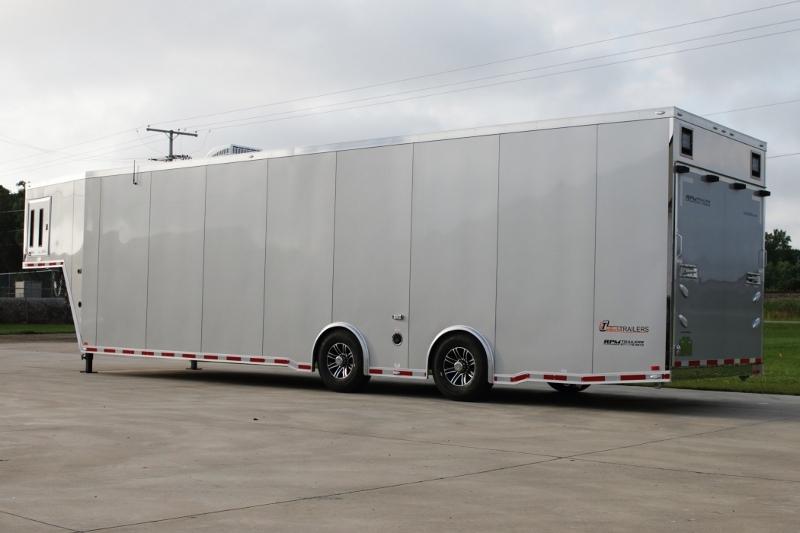 This 40’ Aluminum Race Car Trailer is loaded and ready to perform. 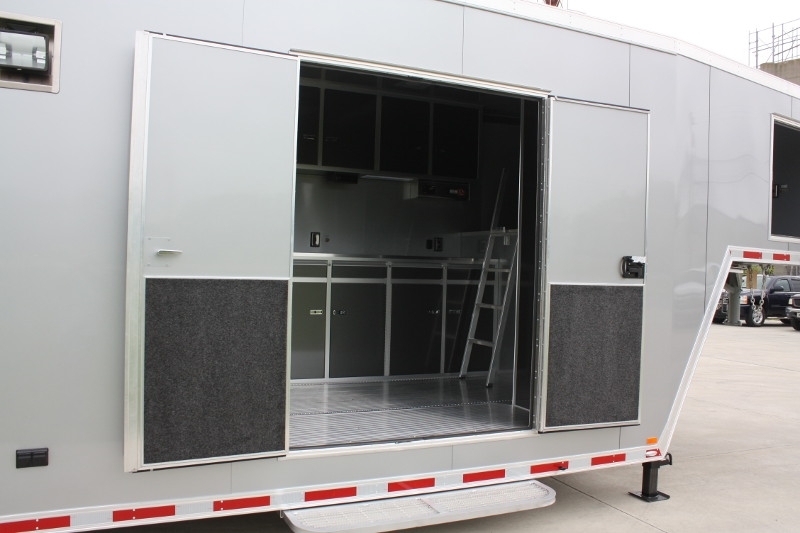 Check out all the details listed and for more information contact us at 706-654-2882. 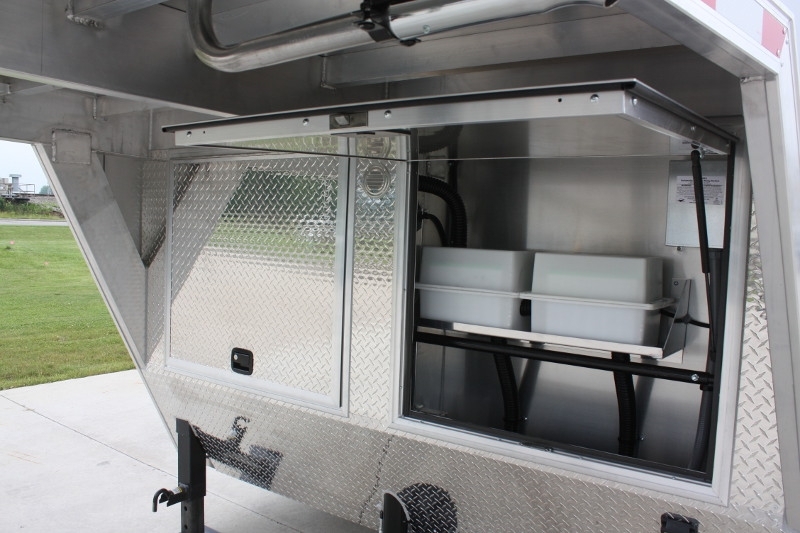 Use iCon Gen Box/Door in riser on C/S for Air Compressor. 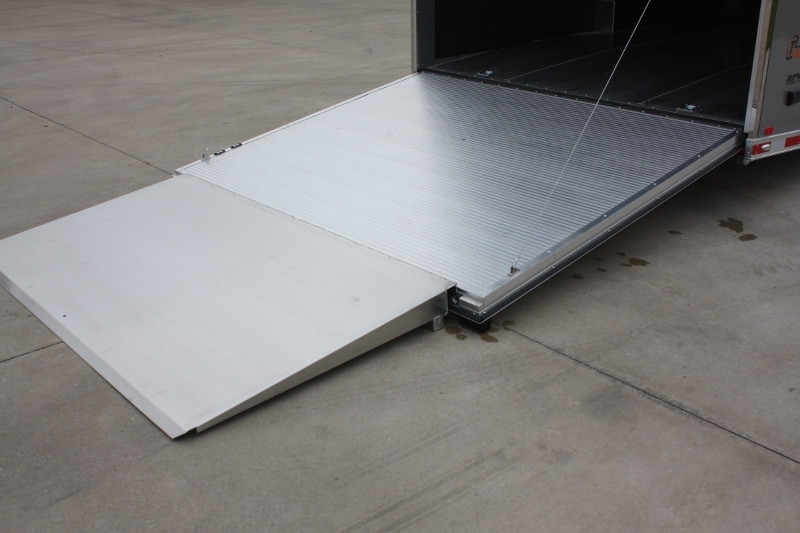 Door to be 37" x 36"
Upgrade to Full Width Ramp Extension Up to 48" Long w/ 3"